You’ve just finished a delicious steak dinner followed by something sweet — perhaps crème brulee. It’s time to sit back with a cup of coffee, perhaps a snifter of brandy, and light up a nice, big … wait! You can’t do that anymore, can you? Well, in a select few metro Detroit places, you still can have an after-dinner cigar. Michigan’s smoking ban went into effect May 2010. But there were loopholes — the bigger ones went to those with the most powerful lobbyists. 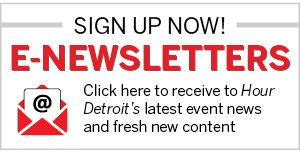 The largest exemption went to gambling floors at Detroit’s casinos as well as casinos run by Indian tribes, since they aren’t subject to state law. But when the law was being hammered out, several cigar store retailers banded together to lobby, as well. Long story short, they won a few exemptions: Smoking would still be allowed at “grandfathered-in” cigar stores. Then some enterprising owners started changing those stores into “cigar bars” — as in serving drinks. A handful of others took the next step to offer a food component. Place Churchill’s Bistro & Cigar Bar of Birmingham at the top of the latter category. Owner Nash Zaitouna came from a restaurant background — formerly running Pike Street in Pontiac — and had operated a cigar shop since 2000. As the ban was going into effect, he decided to apply for a bistro license. “People thought it would just be ordinary bar food,” Zaitouna says. But when Churchill’s opened in 2012, it was several degrees north of ordinary. The fare is top-notch. We’re talking dry-aged steaks (a 28-day Himalayan salt wall process, no less), and fresh seafood flown in daily. There’s a full-service bar with a large selection of whiskey, scotch, and bourbon and a lengthy wine list, too. The steaks come with a version of the traditional zip sauce (the whiskey peppercorn or Béarnaise sauces are good choices, too). There’s airline chicken breast, pan-roasted sea bass, lobster risotto, lamb chops, and more. And of course, there’s a nicely stocked humidor, with some 1,400 different kinds of cigars plus gift items like shaving accessories, cuff links, and canes. The atmosphere is definitely not ordinary, either. The interior feels like an old English gentlemen’s club, with leather chairs, walnut-covered walls, and crisp service. Operating a cigar lounge comes with strict guidelines, Zaitouna says. At least 10 percent of income must come from selling cigars. Zaitouna says that they allow smoking in all areas of the restaurant, but not on the patio. And it’s cigars only: no cigarettes, pipes, or other tobacco products. They do sell pipe tobacco, but they can’t be smoked in the building. Another major requirement is the ventilation system. And Churchill’s is state of the art, providing fresh air several times an hour. Sure, if you’re sitting right next to someone who is smoking, you’re going to smell the cigar. But the system keeps the air relatively fresh. It’s definitely not a hazy, smoke-filled environment. Zaitouna’s patrons must agree. Churchill’s isn’t just frequented by groups of businessmen cutting deals around tables. There are a lot of couples out for dinner, and Zaitouna estimates that 15 to 18 percent of his customers aren’t even smokers. In warmer weather, the non-smoking patio is a popular option, as well. But he’s realistic. “Even with the ventilation, if people don’t like smoke they’re not going to come,” Zaitouna says. Zaitouna owns another Churchill’s shop in West Bloomfield, which serves alcohol but doesn’t have the food component of the Birmingham location (customers can bring in food). He’s also hoping to expand Churchill’s success to the east side, revamping what was Robusto’s Martini Lounge in Grosse Pointe Woods. The new location — which could open as early as January — will also have fine dining. “My chef will be overseeing both stores,” Zaitouna says. The past few years, other cigar-based establishments have jumped into the fray to some degree. Others are hoping to. Smoky’s Fine Cigars in Royal Oak is planning a makeover — adding food and alcohol sometime in early 2016, according to owner Elliott Arabo. Why the change? “My business was always thriving and doing well,” says Arabo. But even with a packed cigar lounge, opportunities were limited. By adding drinks or food, the hope is that customers will tend to stay longer and spend more money, especially since they aren’t allowed to light up in restaurants and bars anymore. Plus, it’s not like Arabo is opening up right next door. And he doesn’t plan on offering higher-end, dinner-club fare like Churchill’s. The bottom line is, the 2010 smoking ban may have hurt business at first. “Then, we adapted,” Arabo says. And, cigar bar owners hope, playing their cards right and adapting even more may help business in the long run — and give those so inclined a place to relax with an after-dinner smoke. It’s like a comfortable neighborhood bar, but with a wide choice of cigars, coffee, cocktails, beer, wine, and some appetizers. Underneath an upscale restaurant is a cigar lounge that also hosts wine tastings and private parties. There are two different lounge levels, including a VIP area on the upper level. There’s live music, a full-service bar, wine, and catered food. A separate area upstairs from the Chop House lets customers enjoy cigars while eating dinner or having a drink. Cigar lockers are available for members. The Jenuwine family has been selling cigars and tobacco products since 1947. Their Sterling Heights and Royal Oak locations offer a range of beverages, including a large selection of world-class scotches, plus live entertainment. 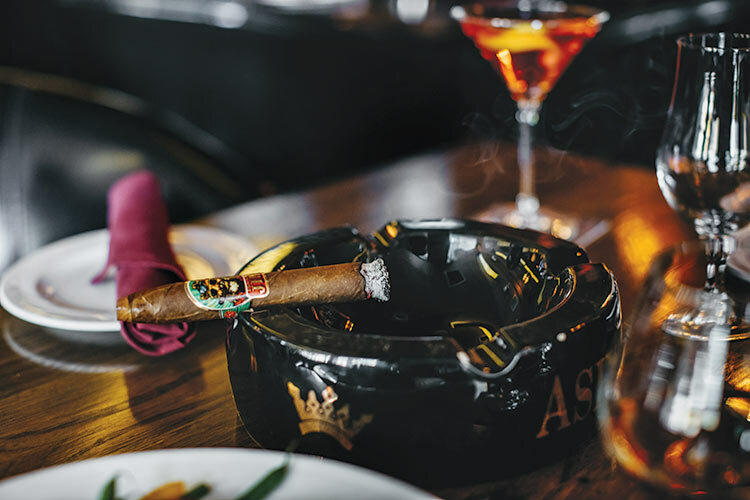 With locations in Ann Arbor, Detroit, and Las Vegas, this cigar retailer/lounge has plenty of cigar choices, drinks, and frequent live music. A members-only area is also available. This legendary money and power-lunch landmark restaurant also has an attached cigar bar and cocktail lounge with dining options. Sip’s features an attached high-end cigar bar with a full-service bar and food, including fresh seafood and steaks. 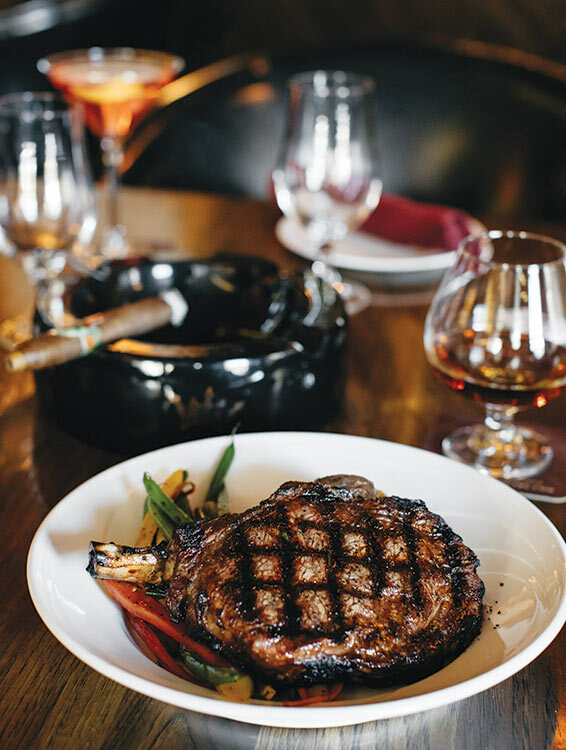 This full-service cigar bar/nightclub also focuses on craft cocktails, small plates, and entrees such as filet mignon, salmon, and lamb chops. The focus is on martinis and cigars, plus live music. There’s also a selection of small plates, sandwiches, and pizza.